Pricedrop takes price down to £32.99 with free delivery. 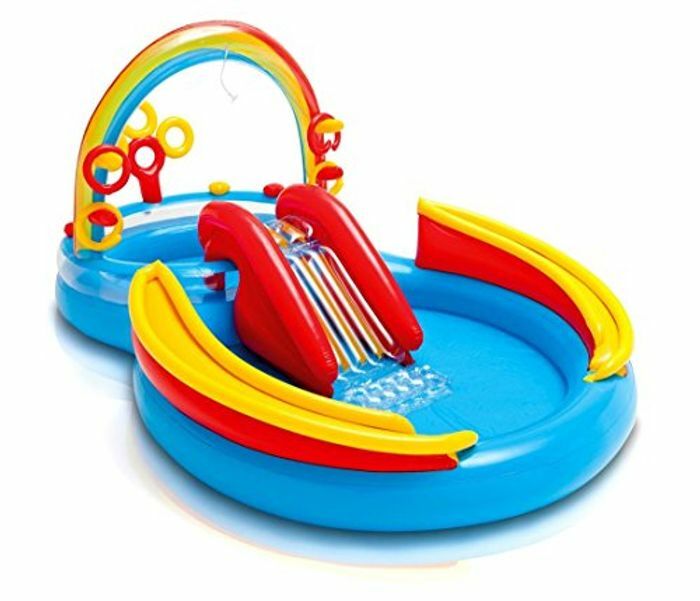 Enjoy summer with this Intex Rainbow Ring Play Center inflatable pool. It includes a water slide, wading pool, water sprayer, ring toss game with four inflatable rings, and a ball roller game and toss ball game six 3-1/8"8cm and plastic play balls are included. The water sprayer attaches to a garden hose to keep kids cool in the summer. Wading pool fills to 80% of wall height: 65 gallons, 246 L. It includes the repair patch.